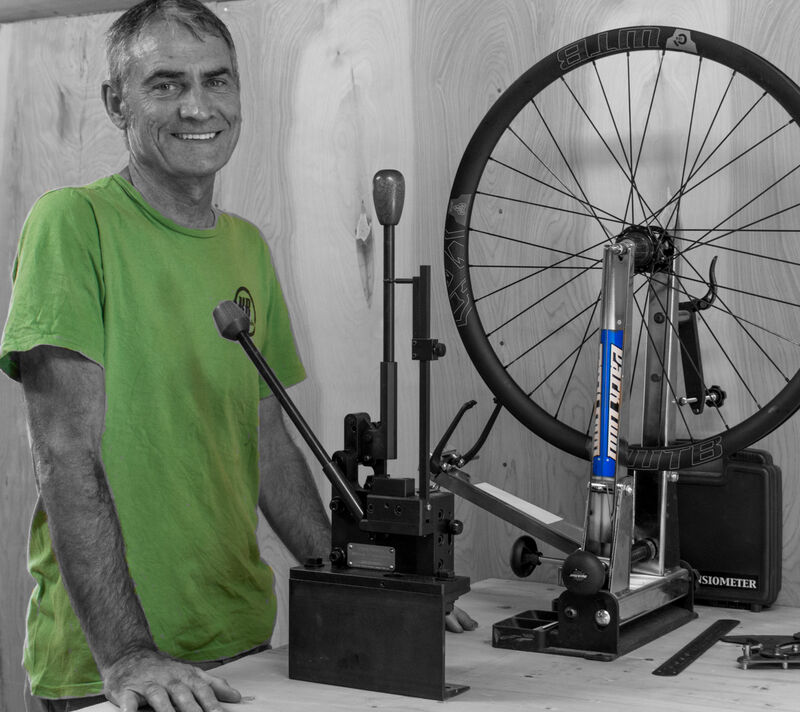 I’m a wheel builder certified by DT Swiss at the United Bicycle Institute, and owner of KB Wheels. I’m also a Professional Civil Engineer and life long cyclist. In my younger years my passion was racing criteriums, but as a Cat 3 I finally had to admit I wasn’t going to make a living at it! So in 1981 I enrolled in the College of Engineering at the University of Utah and continued to race locally for fun. It was also during this time that I began building wheels. In 2014, and with my engineering career winding down and retirement on the horizon, I decided to start KB Wheels. My background as a racer and engineer puts me in a unique position to build high quality yet affordable wheels for mountain, road and gravel bikes. KB Wheels customers really love the wheels I’ve built for them and many have purchased multiple sets. My wheels will stand up to any in the industry and they are rolling from Maine to Japan and everywhere in between. I would love the opportunity to build the best set of wheels you have ever ridden.